what do i need to do to get the same? This Askar from Sri Lanka who working as Software Developer in Suadi Arabia. I m proud to see you achievement in your young careers. Working on C# + SQL Sever + MVC pattern. I im bit new to asp.net technology. I like to follow up your advice become a good programmer. Note : I found no way to contact you, please provide me any contact information with your willingness. Thanks for your appreciation. This really motivate me to grow. I have dropped a mail to your gmail id. please reply when you received mail from me. First of all congrants on Getting the MVP. I am a fresher from B.E. Computer Science. And I am currently working on a project individually on .Net platform. 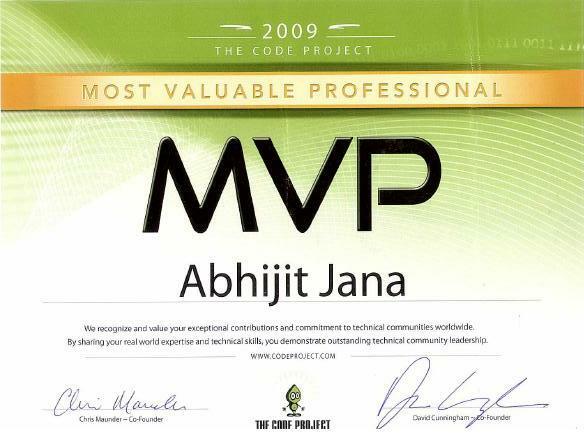 I have a great interest in this IT sector..And I have also worked on VB.Net,C#.Net,Asp.Net etc. Now I want some of your guidelines to learn more about .net and new technologies. Can you help me in future if I need your suggestions. Can You provide me your contact details ? ?